From Machinima’s presentation in New York City… the return of Robocop to the screen. Three original movies, a TV series, and a rebooted movie… and now returning to the smaller screen. RoboCop returns to Delta City where viewers ride along with the now standard-issue RoboCop officers as they respond to calls from dispatch. 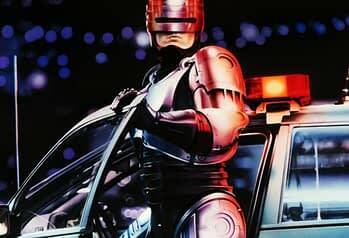 Tapping into current themes of the surveillance state, the series is shot from the first person point of view of the RoboCop officers’ heads up display, along with security cameras, dash-cams, and drones. And see the rest of our Machinima at New York coverage right here.